Shariq Textiles has recently designed their another fall collection 2014. Shariq Textiles has designed their Rabea designer embroidered dresses 2014 collection that will be launching on 22nd October 2014. 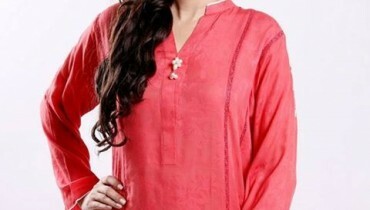 Shariq Textiles has add a wide range of cotton dresses in this collection. This collection is consisting of dresses in two to three colors-way. All of the dresses are looking simple but smart. Rabea Designer embroidered dresses 2014 are perfect for all age group of women. Let’s check out this collection below. Shariq Textiles has launched so many collection and gained a good response. It is considered to be as a leading textile mills in Pakistan. Shariq Textiles has launched so many seasonal collection and gained a good response. Recently, they have released their so many collections and gained good response. Now they are going to launch their another most beautiful and tremendous collection for women. These all Rabea designer embroidered dresses 2014 are looking pretty and smart. In this collection you will find pure cotton dresses with full of lovely prints. some lace and pipin work has also done in this collection.e each dress has embellished with embroidery as it is an embroidered collection. Shariq Textiles, Rabea designer embroidered dresses 2014 have fully designed with modernity. All the dresses are looking beautiful in lovely color combinations. Red, green, blue, black, yellow, brown and orange are the main colors of this collection. These Rabea designer embroidered dresses 2014 are perfect for young girls to mature women. All women can easily wear them as casually and formally both. Well, for further queries just visit their Facebook page below. Shariq Textiles Rabea Designer Embroidered Dresses 2014. Latest Cotton Dresses By Shariq Textiles 2014.